By this stage in your business development, you've researched your competition, defined your target customer, devised a business strategy, surrounded yourself with a top-notch team, taken legal steps to protect your idea, and secured financing to get your company off the ground. At long last, you're ready to get down to, well, business. You might be thinking that the last thing you need is another plan, and that what you really need are sales, and lots of 'em. But without the direction and focus of a marketing plan, you're more likely to spin your wheels and waste your money than generate serious sales leads. When you're faced with a seemingly endless array of marketing options, a well-defined marketing plan can focus your efforts and help you get you the most return for the least expenditure. Learn more about how to put together a successful marketing campaign, and pick up some low-cost tricks of the trade. Barbara Corcoran landed on the mean streets of Manhattan in 1973 with one goal: to become, in her own words, "the queen of New York real estate." At the time, it seemed her dream would remain just that. When she and a boyfriend started a small real-estate business, Corcoran-Simone, the naïve 23 year old had little more than her Princess-style telephone and the New York Times classifieds. She did, however, have a flair for public relations and a knack for spotting trends in the New York real-estate market. By 1975, she realized the market was shifting from rentals to condominium and co-operative apartment ownership, so she quickly adjusted her strategy. By 1978, she had dumped the boyfriend (well, truth be told, he dumped her), she had her own business with seven agents, and her dream was starting to look a little more attainable. In 1981, a clever press release landed her in the New York Times , with the article citing her research and quoting her as an expert in the field. Today, she heads up a multi-billion-dollar company with multiple offices and hundreds of agents. Her dream has become a reality. "If there's one thing the little guy has over the big guy, it's creativity," Corcoran says. "And if there's one thing the big guy has over the little guy, it's money. I'll put my money on creativity any day." Corcoran's own creativity has been her key to success from the very beginning. When she first came to New York, she got a job working as a receptionist for a real-estate firm. She soon realized that she could rent apartments as well as the brokers for whom she was answering phones, and went into business with her then-boyfriend. Her first rental was a testament more to creative marketing than to the merits of the apartment itself. Corcoran was trying to rent a standard one-bedroom unit, but she knew there was little to distinguish it from the many other properties listed in the Times. She convinced the owner to build a wall dividing the living room in two. The one-bedroom was suddenly a "one-bedroom+ den," and it rented in one day. A few years later, Corcoran and the boyfriend split, and she struck out on her own with The Corcoran Group. As she built her business, Corcoran used more creative tactics to rent and sell otherwise generic apartments. She knew that her product, New York apartments, was not noticeably different from anything the broker down the street was offering. Consequently, Corcoran decided early on to market not just her properties but herself. "My competition spent a lot of time advertising the heck out of the properties, but I found little value in that," she says. "Rather than putting the properties forth, I decided to put myself in the limelight. I knew that if people liked me and responded well to whatever image I was putting out there, chances are they'd like my product." It was the late-'70s and early-'80s, and Corcoran saw that the New York landscape was changing. The city was moving from being a market composed predominantly of rentals to one of individual ownership. Corcoran knew little about the condominium and co-op apartment market, but she sensed a tidal shift was about to occur, and she wanted to ride it. She brushed up on the co-op market and took a close look at her competition. "At that time, the winning real-estate firms all had a sort of snob appeal, a 'we're the true bluebloods' marketing strategy," she remembers. "But that didn't apply to New York anymore. Manhattan was changing from a small nucleus of very wealthy people who bought, to a very fast-moving, new-money group that was interested in buying. These people weren't interested in snob appeal. They were more attracted to a style that was fun and appealed to their 'make-your-own-society' attitude." So Corcoran built a reputation and a brand that reflected the vitality and enthusiasm of a fresh-off-the-bus Manhattan newcomer. For example, when she ran her first corporate image campaign, she used the tagline "The Corcoran Group: Power Brokers," but depicted her brokers wearing their favorite sport clothes, posing with children and pets, and generally having fun. From the beginning, Corcoran knew that another way to distinguish herself was by generating publicity. In the first half of 1981, her firm sold 11 apartments at an average price of $255,000. Corcoran estimated how many rooms were in those 11 apartments, then calculated how the sale price broke down on a per-room basis. According to her not-very-large statistical sampling, the average price per room was $57,000. Corcoran typed up a one-page summary of her findings, boldly titled it The Corcoran Report , and sent it to every reporter at the Times. The following week, her Corcoran Report was the basis for a front-page news story proclaiming, "Study Shows Co-op Prices Quadrupled." "PR is the free meal that's available to every business," Corcoran says. "It's the most underrated, underutilized tool in business When I didn't have any money for advertising, which happened often, I could use PR to promote my business." The Corcoran Report, now a semiannual publication, is a must-read among New York brokers and buyers, and is a highly regarded source for industry trends, market data, and the changing pulse of the New York real-estate market. As Corcoran says in her book, Use What You've Got & Other Lessons I Learned From My Mom (Penguin Group, 2003): "Advertising helped us make our name, but publicity put it on the marquee." For example, a few years back it was rumored that Madonna was shopping for a new apartment in Manhattan. Corcoran's firm wasn't working with the pop superstar; in fact, Corcoran had no idea who Madonna was working with or what she was looking for. Nevertheless, Corcoran typed up a one-page press release on what Madonna might be looking for in an apartment and sent it to local and national media outlets. Later that day, she was on CNN discussing Madonna's dream apartment and celebrity house hunting. Soon after, Corcoran had several celebrity clients of her own. "People buy into your image," she says. "People don't even ask what your experience is. As long as you have the look and feel of being the happening place, people will come and buy your product." Today, Corcoran is one of the most savvy and powerful real-estate brokers in the country, yet, according to our experts, the strategies she used to build her company are relatively elementary. Those include establishing market position and distinguishing her firm from the competition. For Corcoran, that meant using a variety of marketing strategies--advertising, image campaigns, Internet marketing (when she launched www.corcoran.com in 1991, it was one of the very first real-estate websites), and public relations. But what about your company? There are so many ways to spread your marketing message, how do you determine the most effective mix for your product or service? You can't, experts say, until you step back from your business planning and do what Corcoran did: Take a close look at your product, your company, and your customer. Once you gain a more complete understanding of all three, your marketing direction will become clearer. In its simplest form, marketing is about understanding your customer's needs, defining how you can meet those needs, and establishing market position. That is not the same, however, as selling. So the first step in developing your marketing strategy is to distinguish it from your sales strategy. Too often, in their rush to bring an idea to market, entrepreneurs make the mistake of confusing sales with marketing, says Linda Darragh, professor of entrepreneurship at the Kellogg School of Management at Northwestern University. "Sales are tactical, while marketing is strategic," she explains. "People often jump right over marketing. They want to get on the street and start selling, but if they do without first devising a marketing strategy, they'll just be wasting money." Marketing helps you shape your sales pitch, but it's not the actual pitch, agrees Cathy Imburgia, president and founder of Creative Communications, a Claymont, Delaware-based marketing communications firm. "Marketing is understanding who to contact and what message needs to be put in their hands," she says. "Marketing is the analysis of what and who your sales are going to be." The market research you conducted in the early stages of your business planning helped you define your target customer, but what you need to do now, Darragh says, is "get in their brain. You need to understand how your target customer buys and how they think. If you really understand your customers' buying habits, then you'll know what kinds of advertising and messaging you need to do." But buying habits and customer hot points are not always so obvious, Imburgia says. She cites as an example a marketing campaign she recently developed for the state of Delaware. The goal was to decrease first-time drunk-driving offenses among blue-collar young men. In the past, DUI campaigns focused on billboard advertisements, but with little success. Imburgia and her team knew they needed something new and powerful that would resonate with their target demographic. They analyzed market research, then tried to put themselves in the shoes of these working, middle-class men. "You need to know your audience's hot buttons and what's going to get them to react," she explains. "When you're a startup, you have to take it to that next level of thinking, because you can't afford to throw money to the wind." Eventually Imburgia came up with the idea of partnering with employers and emphasizing the financial consequences of driving drunk. In Delaware, a first-time DUI conviction can cost the offender about $4,000 in fines and legal fees, and loss of a driver's license for three months. The new campaign details the fines and missed days from work associated with a DUI, and points out that with no license, the offender will have to find alternate transportation to work. The tagline for this now highly successful campaign became "DUI: When a drink costs more than you think." By zeroing in on bottom-line ramifications, Imburgia and her team shifted the focus from the DUI itself to the affected individual. Similarly, as you begin to craft your own marketing message, it's essential you not forget the customer. That may seem obvious, but up to this point your priority has been promoting your product and, in some cases, yourself. "The customer is looking for solutions, and too many times we just throw something at them without thinking of, 'here's a solution for you,'" Darragh says. "That means now you need to start being solution-focused instead of just thinking, 'This is the greatest thing since sliced bread.'" For insight into your customer's mindset, you need to bore into your market research and, if necessary, conduct additional focus groups, surveys, online polls--"whatever you can do to get in their face," Darragh says. She also suggests seeking help from a nearby university or college. "Every single business school has market research and marketing classes that are eager to take on real-life projects," she says. "You can always find a group of students willing to help you conduct market research or develop a marketing plan." And as soon as you have your first customers, view them as a living research project. Learn as much as you can about their needs and how you can better serve them. Says Imburgia: "Your existing customers are your greatest allies. Now that you've got a handle on your customers' needs, it's time to launch your marketing campaign, right? Not quite, says Suzanne Pease, 2003-04 NAWBO president and founder and president of Morganville, New Jersey-based Ampersand Graphics. If you remember the basic tenets of marketing, an important one is establishing market position. You do that, Pease says, through branding. "I define brand as a promise of consistency," she says. "It says who you are, who you want to be, and whom you hope to serve. Until you define your brand, it's very hard to write marketing information that will promote your product or service." For example, Pease notes, if you walk into a McDonald's, you have a very clear idea of what to expect. The brand stands for a certain quality of food within a certain price range. If, however, you walk into a McDonald's and are offered a steak, you'll probably feel disconcerted and even a little betrayed. Imburgia agrees. "Brand is a promise," she says, "a promise of what the end-user can expect." Thus, when it came time for Pease to brand her own company, she focused on customer service, and subsequently chose the ampersand symbol for her logo. "It means I'll do this and this and this. It means I'll do whatever it takes to meet a deadline and deliver a high-quality product," she says. "But it's more than a logo. If I say that my brand stands for a promise of delivery, I better make sure that I return phone calls right away and make sure my company lives by its branding." Just as Pease's corporate identity (her logo and company name) reflects her brand, your own marketing materials--logo, business cards, advertisements, website, and so on--should support your newly defined brand. "Branding is the base for all your marketing efforts," Pease says. "Where you advertise, how you advertise, how much white space you leave on the page, the colors, logos, and fonts you choose--all of these can either reinforce or distract from the brand." As you ponder how your marketing can reflect your brand, think creatively but strategically. Understand, for example, that your logo is just one representation of your brand--but one that's very identifiable. "I think one of the major mistakes that people make is getting a logo or name for their company that people have no clue what it means," Darragh says. "If it's so off-the-wall that no one can identify what you do, that's not going to help you." The last step in your marketing preparations is putting all of the above in writing. A marketing plan is an articulation of your market position and marketing strategy. As with your business plan, the act of writing a marketing plan is nearly as important as the finished product. "Without a marketing plan, you can become unfocused and go everywhere," Darragh says. "Thinking it through and putting it in writing can keep you focused and help you say with confidence, 'Here are my markets, and this is where I can put the minimum investment and get maximum return.'" An overview of your current situation (including a description of your product, industry, and target market).An analysis of your challenges and competition. A list of specific, detailed, and measurable marketing objectives (generate 10 sales leads per month, increase product awareness among women ages 18 to 40, send at least one press release per month to influential industry media, etc.). Your strategy to achieve those objectives (advertisements, a customer newsletter, coupons, free samples, press releases, etc.). Your marketing budget.Benchmarks to measure the effectiveness of your marketing campaign and a plan to evaluate your success. Perhaps the most important component of your plan is the evaluation. Most likely, you'll have a mix of strategies, and Darragh recommends evaluating each one on an individual and recurring basis, rather than waiting until year's end to review the strategy as a whole. If something's not working, you need to know as early as possible so you can abandon the effort and retool your plan. The strategies you detail in your plan and then employ in practice obviously will vary depending on your product, industry, and target customer. But no matter what mix of marketing tools you choose, chances are you don't have a ton of money to spend on them. "Guerilla marketing" is a term for using innovative and inexpensive ways to market your product; by definition, most of your efforts likely will fall in this category. Here are some guerilla tips and tactics to jump-start your marketing campaign. Many business startups use direct-mail campaigns to build awareness and recruit customers. Whether you're sending a sales letter, brochure, coupon, or catalog, the advantage of direct mail is that it puts your marketing message directly in the hands of your target customer. If you think subscribers to a particular magazine or members of a certain professional organization would be interested in your product, rent that group's mailing list. If you need help finding publications relevant to your product or service, check out Media Finder (www.mediafinder.com), a free online database of more than 70,000 periodicals, including newsletters, journals, directories, and catalogs. You can search by category to find a listing of appropriate publications, then contact them directly to inquire about their mailing list. Another option is to use a professional list broker, who can provide you with a list based on your requested demographics and specifications. Brokers typically charge per 1,000 names and require a minimum purchase of several thousand names. That number may seem large, but because the response rate for direct mail is typically about 2 percent, experts say you should plan on mailing to several thousand people to make it worth your effort. Consumer list rentals range from $50 to about $200 per thousand names, but a business-to-business list will cost you more and could put you back several thousand dollars. Brokers' fees typically include pre-addressed mailing labels. To learn more about direct mail, visit the Direct Marketing Association, at www.the-dma.org, or the United States Postal Service Direct Mail site, at www.usps.com/direct mail. To get the most from your direct-mail campaign, make it easy for the recipient to respond. Include your contact information on every page, and don't ever send anything out without a call to action. For example, include a coupon, or "Act now and save 10 percent," or "Call now for more information," etc. Also, try unconventional mailings. For example, a postcard will stand out from many other solicitations and may be more likely to grab someone's attention. A good public-relations campaign can give your company exposure you can't afford to buy. For example, you probably can't afford to buy an ad in the New York Times , but if your company is mentioned in one of its news stories (as Corcoran's was), you instantly gain exposure and credibility. Corcoran grabbed editors' attention--and made their job easy--by providing them with ready-to-use statistics and facts about the New York real-estate market. The key to Corcoran's success was that she didn't overtly promote her company or services. Instead, she offered newsworthy information and, in so doing, established herself as an expert in the field. Her market position changed overnight because of her PR efforts. Sending a press release is one of the easiest and cheapest ways to generate publicity for your company. Before you sit down to write a release, however, make sure you're not confusing PR with advertising. A press release that is purely promotional is never going to get picked up. The key to getting your name, or your company's name, in print is to offer something of value. The launch of your new product could be newsworthy, or maybe you've spotted an industry trend. Can you put a local spin on a national story? Reporters are busy, and often lazy. Make sure your press release is succinct and includes the who, what, when, where, and why. Throw in some quotes that the editors can pull directly from the release, and you might find yourself reading your own words in tomorrow's paper. Or consider publishing a newsletter like Corcoran's Corcoran Report, or a resource guide with industry definitions and terms. Again, if you offer value, you're more likely to be taken seriously and become someone the reporter or editor calls upon in the future. To increase the chances of your press release being picked up, make sure you send it to the appropriate people. Compile a list of publications and other media relevant to your company, such as local newspapers, television and radio stations, business journals, industry journals, chamber of commerce newsletters, and trade association newsletters, magazines, and websites. Next, determine which reporter or editor at each media source should receive your press release. Is there a reporter assigned to your industry? Does every press release go to the managing editor? Does the editor prefer faxed or e-mailed releases? Make a few calls to learn about the publication and ensure that your press release doesn't end up in the garbage. And once you've sent your press release, don't you throw it away either. Even if it never gets published, it's still an effective marketing piece. Post it on your website and include it in your next direct-mail campaign. Press releases are just one type of PR. Another low-cost way to promote your company is to submit bylined articles and columns to publications. Many industry and association journals operate on shoestring budgets and welcome unpaid submissions. By writing authoritatively on a topic relevant to your company, you gain exposure and establish yourself as a trustworthy and knowledgeable source. Again, make sure your column or article is useful and not promotional. Editors and readers alike can see through a thinly veiled sales pitch, and will be turned off instantly. The Internet presents a vast marketing opportunity, but its very size also makes it a challenging medium. Perhaps the best way to tackle Internet marketing is to start small and grow your efforts from there. One inexpensive method for increasing awareness among Internet users and potential customers is to join online discussion groups, forums, and message boards relevant to your product or service. Don't overtly promote your product. Rather, join the discussion by answering questions and offering solution-focused posts. "It's not necessarily going to drive a ton of traffic, but it doesn't cost you anything but your time," says Hollis Thomases, president and founder of Havre de Grace, Maryland-based WebAdvantage.net, an Internet marketing consulting firm. "It could be right for you if you offer a niche product or service." Using search engines strategically and effectively is another way to boost your online exposure. Nearly 40 percent of the U.S. population used a search engine in January 2004, according to Nielsen//NetRatings. What's more, Internet searches are the number-two online activity, second only to checking e-mail. Clearly, search engines are an important component of any Internet marketing strategy. 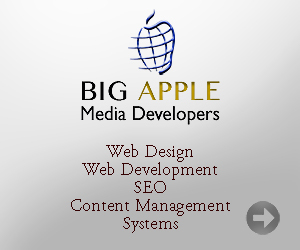 Many search engines will let you submit your website for no charge. Some search engines, such as Google and Overture (a subsidiary of Yahoo), sell top placement on their results pages via online auctions. For example, if you offer Internet marketing consulting services and are the top bidder on the phrase "Internet marketing consulting services," your ad will appear at the top of the list of paid ads. But "cost-per-click" advertising, as it's known, can add up quickly. According to a survey Thomases recently conducted of 250 small business advertisers running cost-per-click keyword search campaigns, the average e-marketer spends more than $5,000 per year on search-engine marketing. The alternative to cost-per-click advertising is search-engine optimization, which refers to a variety of efforts to increase unpaid ranking on a search engine results page. An important component of search-engine optimization is making sure you're using the right keywords to market your site. For example, are your keywords the same ones your target customer would use when conducting an online search? Is your customer likely to search using layperson's terms or highly technical and industry-specific jargon? What are the most common search terms? What keywords does your competition use, and how can you distinguish your own site? Some of this you can figure out on your own by going back to your market research; but for more technical components of search-engine optimization, you may want to hire a specialized e-marketing professional. Another low-cost marketing strategy is website linking. Many sites will let you link from their site to yours for free, or for an annual fee. Contact business partners, related industry groups, and associations to inquire about a linking partnership. You could also combine two possibilities and take your direct-mail campaign online. Direct e-mail marketing is growing in popularity, but also comes with a fairly hefty price tag. There are list brokers who specialize in e-newsletter subscribers and online membership organizations, but renting one of these lists could cost you up to $1 per name, depending on the market and how targeted you want to get. And the results from a rented list are often poor, Thomases says, due largely to increasingly aggressive spam filters and general e-mail overload. A better option, Thomases suggests, might be to collect e-mail addresses for your own clients and potential customers, or piggyback your direct e-mail campaign on someone else's. For example, buy a classified ad in an e-newsletter, or submit a bylined article. Of course, all your online marketing efforts will be for naught if you have no way to convert your online visitors into customers. As with your other marketing efforts, make sure your website and e-marketing tactics offer something of value to your customers. Allow them to sign up for an e-newsletter, offer them online coupons, and clearly articulate how you are customer- and solution-focused. Networking is an important and oft-overlooked marketing strategy, Imburgia says. Join your local chamber of commerce, industry trade groups, NAWBO, and any other membership organization you think could prove beneficial contacts, and attend any and all of their networking events. Don't be frustrated, however, if you walk out with nothing more than some pleasant conversation and tasty hors d'oeuvres. "The greatest value you can get out of any membership is awareness," Imburgia says. "I prefer 'making business connections' over 'networking,' because you shouldn't actively be trying to get business while you're at these functions. Instead, you should be trying to build awareness and make a connection. Maybe the person you're talking to doesn't need your services, but she might know someone who does." An alternative to networking happy hours is volunteering in an organization composed of potential clients. This works especially well if you provide a service that you can offer pro-bono to the organization, thus allowing its members can see the quality of your work. Don't forget, Imburgia adds, to include membership dues and registration fees in your marketing budget. As you set your marketing goals and craft your marketing strategy, remember that there's no sure-fire recipe for marketing success. Much will depend on your industry, product or service, target customer, and your own style. Nonetheless, if you stick to the basics--understanding your customer's needs, defining how you can meet those needs, and establishing market position--you're more likely to be successful. "It's a tangled web, and there's not one formula that works for everyone," Imburgia says. "It gets back to your original market research and making sure you have a very good understanding of your target market. I always say, 'If you understand your audience, you'll know what to tell them.'" Revisit your market research and, if necessary, conduct additional research or focus groups. Seek research assistance from business students at a local college or university. Develop a brand statement. Rely on your brand to guide all internal and external communications, operations, marketing, and sales efforts. Create a logo, name, and corporate identity. Identify strategies to achieve those goals. Be sure to think creatively when employing direct mail, Internet, and other marketing strategies. Establish a system to evaluate and measure the results of your marketing efforts. Put everything in writing in your marketing plan.